Nobel Peace Prize winner Shirin Ebadi was a special guest on two occasions at the annual festival Ritmi e Danze dal Mondo (Rhythms and Dances from the World) “Breaths of courage”, which took place at Villa Wassermann in Giavera del Montello, a town near Treviso, from 5 to 8 june 2014. 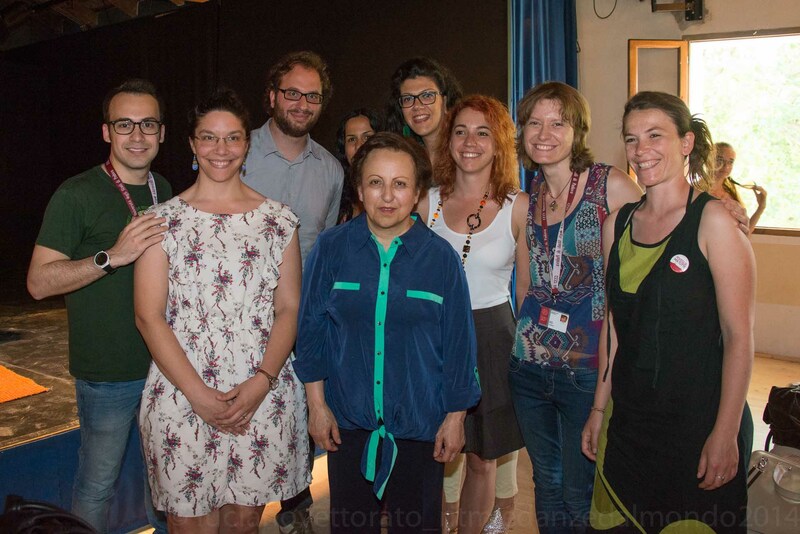 On Saturday 7 June, at 15.30, Shirin Ebadi talked with young people about the promotion of peace and human rights. This event was organized in cooperation with the Human Rights Centre of the University of Padua. On Sunday 8 June, at 10.00 am, the Iranian pacifist lawyer took part in a discussion-meeting on the issue “Breath of courage” since her commitment to peace, freedom and human rights, with the participation of the journalist and writer Gian Antonio Stella. Shirin Ebadi was awarded the Nobel Peace Prize in 2003 for her commitment to the defense of human rights and democracy, focusing especially on the struggle for the rights of women and children. Ritmi e Danze dal Mondo, crossroads of arts and cultures, was created in 1996 in the reception centre for migrants in Giavera del Montello (Treviso). Today the Festival brings together up to 25,000 people, with the support of 450 volunteers and the participation of people from 140 different countries and 40 organisations, in a great organisational effort of volunteers, citizens, municipal employees.